Few thought they would do it until they did, firing fusillade after fusillade into two giant statues of the Buddha that had weathered 1,500 turbulent years of conquest and chaos, but could not withstand the Taliban’s tanks. As shells and anti-aircraft rounds thudded into the sandstone giants, Afghans who eked out their lives in the shadow of the statues were aghast. 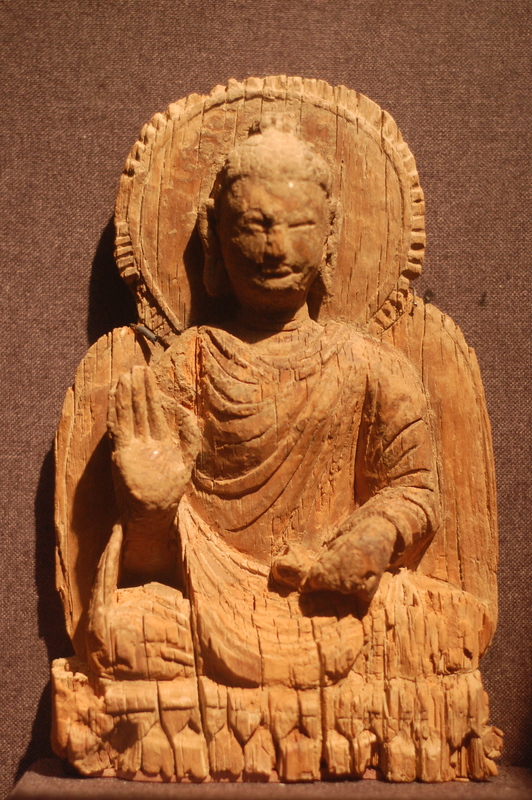 Now, almost 10 years to the month after Taliban fundamentalists blew the Bamian Buddhas apart, Afghanistan’s archaeological treasures face a new threat: capitalism. Just south of the Afghan capital, Kabul, French and Afghan archaeologists have unearthed a 5th-century Buddhist monastery at a 4,000 hectare site called Mes Aynak – and are racing against time to excavate more ruins before Chinese miners obliterate them in their quest for natural resources. In 2007, China Metallurgical Group, a Beijing-based mining group, signed a $3bn deal with the Afghan government – the biggest foreign investment in the country to date – to exploit vast copper deposits less than 1,000m from the then yet-to-be-discovered monastery. In its day, the building would have stood 15m (50ft) high, and measured 80m by 40m . Now it sits half-concealed by the mound it rises from beside the main road to Kabul; a warren of newly excavated halls and passages with giant feet, hands and faces emerging from the earth. Following a recent visit to Mes Aynak (it means “little copper well”), archaeologist Joanie Meharry described the treasures emerging from the dig. “Among the ruins were found a stupa [a mound-like structure that would have contained Buddhist relics] more than 9m tall, frescoes with details in black and red paint, plaster statues adorned with jewelled ornaments, some laced in a fine layer of gold, and shards of pottery,” she wrote. The team of 16 French and Afghan archaeologists conducting the dig at Mes Aynak has 38 months, starting now, before the Chinese miners move in, although the hope is that as the full wealth of the sprawling site becomes apparent, Afghanistan’s mining and culture ministries will step in to protect some of the settlement’s remains. “Every contract can be renegotiated,” says Philippe Marquis, of the Délégation Archéologique Française en Afghanistan, which is documenting the excavation for Afghanistan’s National Institute of Archaeology. Even if there is no stay of execution for the site, the plan is to retrieve as much of the statuary as possible and house it in a new $8m museum in Kabul, alongside treasures such as the Bactrian gold and the Bagram ivories, currently on display at the British Museum. A first batch of Mes Aynak antiquities has just gone on show in Kabul, including an exquisite 5th-century wooden carving of the Buddha, a still-gilded stele edged with a row of flames and dozens of coins and carvings. What happens at Mes Aynak will have implications across the country. Buried beneath Afghanistan’s mountain ranges are more deposits of copper, iron, gold and lithium, worth $1 trillion according to some estimates, and promoted by the Pentagon as a source of wealth that could wean Afghanistan away from its aid dependency. So far the government has not let the prospect of Chinese cash flooding an impoverished area blind it to the potential damage that mining can bring. Last year it signed an agreement with China Metallurgical Group to protect and preserve the Mes Aynak site, adding weight to Mr Marquis’s suggestion that the government will renegotiate its deal with the mining company as the extent of the archaeological treasure trove becomes apparent. It has also rejected the company’s proposals for waste storage, which it feared would contaminate Kabul’s water supply. How it balances the need for economic development with preserving the country’s heritage in the years to come will be a sterner test.